Cassava is an important crop grown in many tropical coun wettries. It is considered one of the most important food crops worldwide. Cassava has long been used to make cassava flour. It is important to note that cassava flour differs from tapioca though both are sourced from the same plant. Tapioca starch is the refined starch from the cassava root, whereas cassava flour is made with the whole starchy root. To make the flour, the cassava root is dried and ground. Because the roots and leaves of the cassava plant contain high levels of cyanide, special steps must be taken to prepare it for consumption. While there are many varieties of cassava, they are usually just categorized as either bitter or sweet. The sweet variety has less cyanide than the bitter variety. In the mythology of the Native South and Central Americans, cassava was often portrayed as saving people from starvation. The plant is arguably the food with the highest starch content. It has double the starch of the potato and more than 10 times the starch of corn. Cassava flour has very little taste, much like refined wheat flour. The taste makes it an excellent substitute for the equally mild-flavored refined wheat flour. While the cassava root does have some nutrients, the flour made from it does not have much of any single one. Unfortunately, the processing that it must undergo removes most of the nutritional value. It does have small amounts of a few important ones. Carbohydrates: As a source of starch, cassava flour is a great way to get energy quickly. Because of its high caloric value, it is best to limit your cassava flour intake if you are trying to lose weight. Fiber: Its dietary fiber content is what separates cassava flour from tapioca flour. Because it contains fiber, cassava flour functions better in many recipes for baked goods and is better for you. Minerals: Cassava flour has modest amounts of calcium and iron. Gluten intolerance: Cassava flour is best known as a gluten-free flour. As such, it makes a great substitute for wheat flour in that it can be used by people with celiac disease and other similar conditions. Unwanted weight loss: The high caloric value of cassava flour makes it a great option for people who are losing weight as a result of illnesses that affect their appetite. A relatively small amount can add a significant number of calories to their diet. 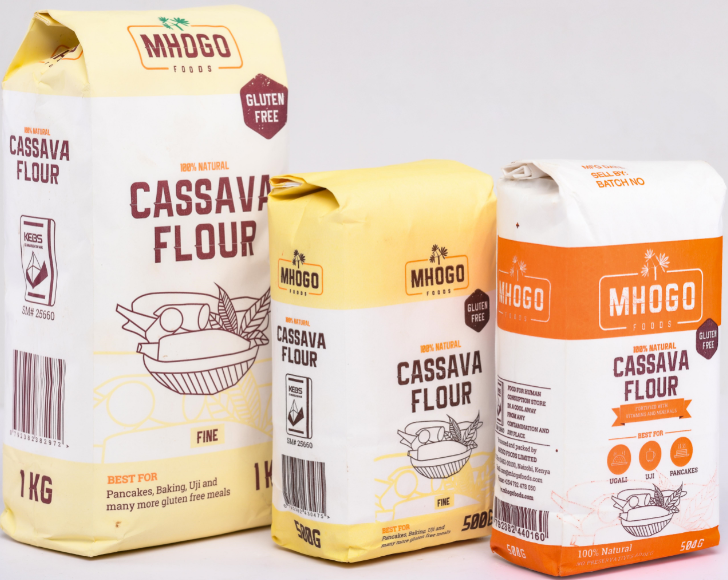 Whether you want to change your flour choices for your health or you need to for your change in lifestyle, cassava flour is one of the options to consider. It is one of the most beneficial types of flours, especially if you’re considering the paleo diet or need something for a low carb/gluten free option. Cassava flour is traditionally used to make tortillas and bread. The native Americans made a flatbread with it and used it to make porridge. It has a reputation for giving a fluffier result than other gluten-free flours when used in cookies and cakes. It is much more similar to wheat flour than other gluten-free flours. Here are some reasons to start including cassava flour in your baking. Most alternative flours out there are replacements for the white flour. While they tend to be healthier than the white flour options, there is a space in the market for those looking for wheat flour alternatives. After all, how many of us prefer wheat options in our baking? Wheat is healthier compared to white any day of the week. Cassava flour is the perfect option for replacing wheat flour completely. There’s no need to add a little of the traditional stuff just to get a slight taste or texture of it. The taste of cassava flour is completely neutral, so you’ll never realize that you’re trying something different in your baking. Your kids will never know that they have something healthier within your cooking, which tends to be the main reason for them turning their nose up at things! How often have you looked for a flour that will work for cookies, cakes, sauces, and even patties? One of the only options we tend to find is the all-purpose flour, which isn’t suitable for all. Well, that was until cassava flour became a major import. This alternative flour is excellent for all your baking needs. It can create light and fluffy cakes but also thicken up sauces just right. The texture isn’t too thick, and the taste is indistinguishable from all the other wheat-based flours. There’s no sour taste or smell, which can happen with grain flours when they have sprouted. There is no odd flavoring, which comes from the likes of almond or coconut flour due to the ingredients used to create them. You don’t even need to replace your wheat flour with cassava completely. Replacing a portion of it is a possibility due to the texture similarities. If you want, replacing completely is an option, but you can do a little at a time to really test the differences. Are you looking for a flour alternative that is perfect for all your allergy needs? Well, cassava flour is perfect for all the allergies out there. Let’s start with the most common need for finding a flour alternative: the gluten issue. If you have a gluten allergy or you just want to remove gluten from your diet for lifestyle benefits, you can opt for cassava flour as an alternative. It is a gluten-free ingredient so you may find the flour in the gluten-free aisles for your shopping needs. There have been studies into the different flour alternatives available. Cassava flour is one of the least known but has the most benefits when it comes to digestibility. It’s the easiest for the body to handle compared to all the other alternatives, including coconut flour, tapioca, and more. Cassava flour is made from the whole root. This helps to create the light texture that will help to thicken soups and sauces. The whole root also means that it has more fiber without all the gluten. If you do have some digestive issues like irritable bowel syndrome or even Crohn’s disease, you should consider cassava flour. The fiber helps to line the digestive tract to protect it from anything else while pushing through the toxins in the body that are causing pain and discomfort. You’ll find that you have fewer problems after eating some sweet treats. This is one of those foods that people with an autoimmune disorder are encouraged to eat. It’s something that won’t affect other systems within the body. How long have you been searching for a type of flour that is suitable for your paleo lifestyle? This is one of the flours that you want to add to your diet. It’s one of the most affordable types of flour alternatives on the market, making it a new favorite for people on the paleo diet. It’s completely natural, and you can even make it in your own home if you really want. Therefore, it is so suitable for the diet. You can use the flour for any of your normal baking recipes. Just replace the amount of wheat/normal flour for the exact same amount of cassava flour. Unlike so many other flours and alternatives out there, cassava flour is one of those options that a diabetic can help. It’s also useful for starving off diabetes in those who have been diagnosed pre-diabetic and is suitable for avoiding the condition altogether, even if you haven’t been diagnosed with anything. The flour is low in sugar. The carbohydrates are indigestible, complex forms. They don’t break down quickly, causing a rise in your blood sugar levels. There’s no need for the insulin response by your body. 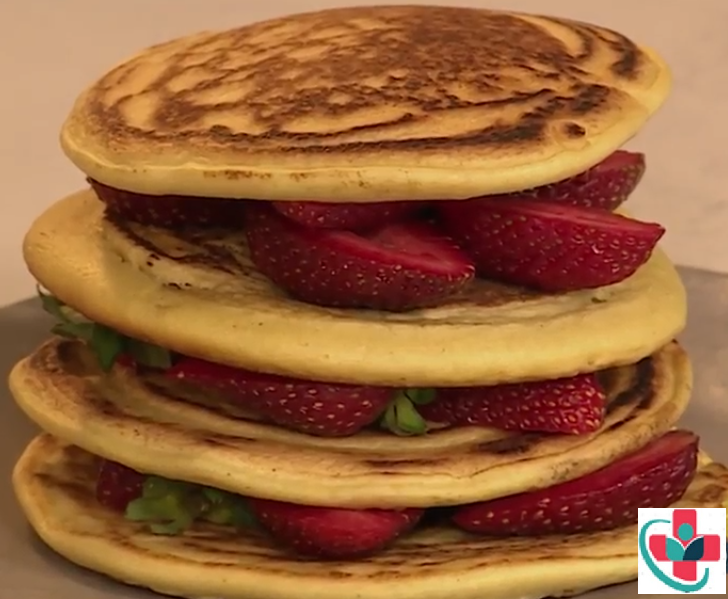 In fact, the indigestible carbs will help with your overall health. They work with the fiber to push toxins out of your body and keep your digestive system working. You’ll also feel fuller so you won’t eat as many sweet treats that you make. When it comes to weight loss, you’ll usually be told to avoid all baked goods. They’re full of refined sugars and not good for you. The good news is that you don’t have to avoid them completely. When they’re made in the right way, and they’re eaten in moderation, you can enjoy them without gaining lots of weight. Cassava flour is one of those options that will help with your weight loss ventures. Let’s start with the fact that this is a whole food flour. It’s made from the roots of a plant, so there are very few calories in your cassava flour. You’re instantly taking in fewer calories than you would if you ate normal flour. Now let’s remember the above benefit of no sugar. When your blood sugar rises, your body stores the calories you eat for later because it needs to deal with the sugar first. You end up not using those calories, so you gain weight. With cassava flour, you don’t have the insulin response so the body can focus on using the calories. And then there’s the benefit of feeling fuller. This is a high fiber and high indigestible carb ingredient. You’ll feel fuller sooner, so you don’t feel the need to eat as much. You’re not just taking in fewer calories in the ingredient but fewer calories overall. Like other flours and alternatives, this is an ingredient that is high in carbohydrates. They’re the right type of carbs that will keep weight loss down, but they are there to help support your energy levels. Yes, our bodies do need carbs. The carbs help to fuel the energy so the other food groups can support other bodily functions. You’ll be able to get through the day without the need to stock up on something with a quick boost of energy. The downside is that this flour isn’t the best for a low-carb diet. You will need to think about other types of flours or think carefully about other foods that have carbs in them. If this is the only carby ingredient you use, then you shouldn’t have a major problem with eating it. Now it’s entirely up to you. Making a change to cassava flour is quick, easy, and beneficial. You’ll support your body’s functions while keeping any allergy risks to a minimum. You just need to find the flour that has been manufactured in a facility that works for your allergies. You can make your own cassava flour relatively easily if you do want to save money. However, this isn’t going to be a flour that you pay over the odds for normally. If you don’t want to make an instant change to cassava flour, why not do it a little at a time? Instead of using wheat flour for a whole dish, opt for half wheat and half cassava. You’ll be able to test if there is a taste difference and see just how well it works for your needs. Then you can make the full change to cassava only in your baking.